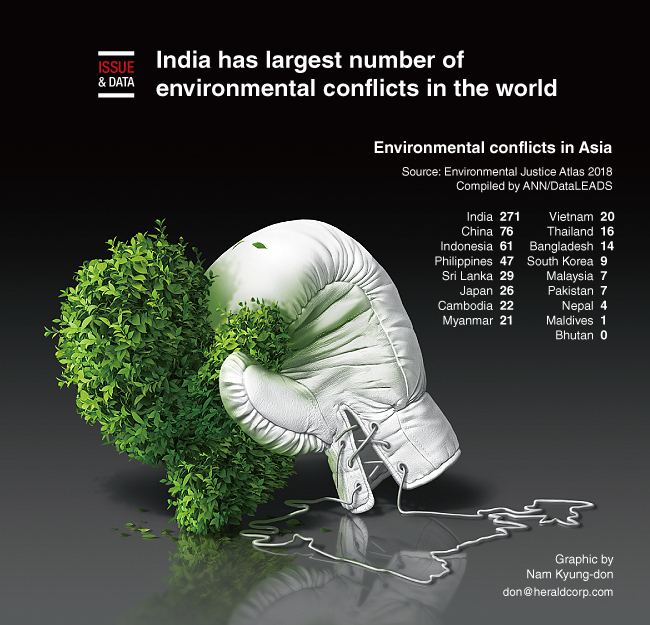 India has the highest number of environmental conflicts in Asia and the world, mainly in the areas of nuclear, water management, biomass and land. On the other hand, Bhutan records no conflicts. Despite opposition against coal mining, hydropower projects and waste management plants, India has relentlessly pursued these projects. The country has 271conflicts. China is second in Asia in terms of the number of conflicts, which include those related to copper mining, waste incarceration, chemical plants and construction of dams. In total, it has 76 conflicts.